If you read my post earlier this week, you know we had a great experience at the Pez Factory Easter Egg Hunt this past weekend. In case you missed it, you can read that post here. You can also read news coverage of the event here. However, you would also be aware that there was utter chaos and unfortunate behavior at the event as well. Mostly on the part of the parents. 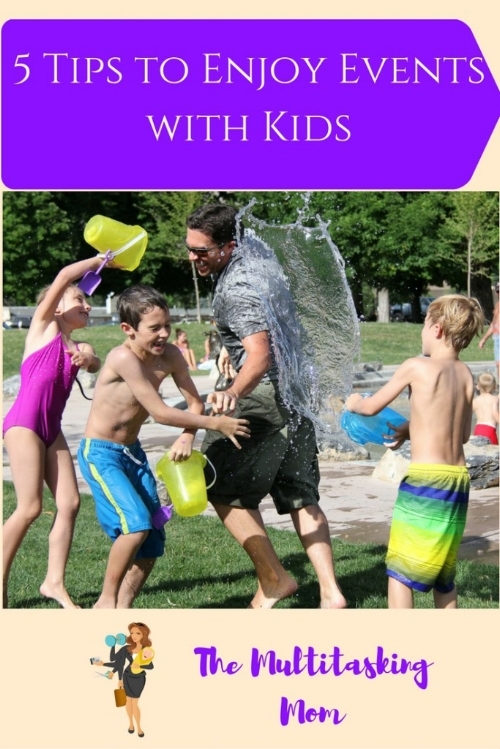 Thus, I've decided to compile a list of tips to ensure that you can enjoy your events with kids and make the most of your experience. 1.Read the Instructions in Advance: Before you attend an event, you should know what you are getting into. What is the setup? Is there a cost? What should you bring? In the case of the egg hunt, the directions specifically stated that there were separate start times for each age group. We also knew that the egg hunt was free but pictures with the Easter bunny required paying the admission fee to enter the visitor's center. 2. Pay Attention to the signs and Staff at the Event: As the parent, you should be paying attention to all the signs and staff members at the event. This can be hard when you are also corralling your kids. If possible have a second adult with you so that one can get all the information while the other keeps an eye on the kids. At the egg hunt, there were signs specifying which area was for each age group. Also, the staff members came around to everyone and explained that the turn out was far greater than expected and therefore, if anyone did not get an egg, staff would be giving out candy in front of the visitor's center. Therefore, there was no reason for parents to take eggs from the other areas of the field. There was also no need to push and shove to get an egg. 3. Determine the Cost of the Event and Base Your Expectations on That: Now I am not saying that free events are crappy and all good events are paid for. What I am saying is if the event is free and you get anything to take home, you are already winning. There is no need to be greedy or pushy. As far as the Pez event, the egg hunt was free. If you didn't get an egg from the hunt, you would still be walking away with free candy. Especially in the 0-4 age group, I highly doubt that it was the kids pushing to have enough eggs to fill a big basket. If you want your kid to have the experience of finding a ton of eggs and filling their basket, then you should host a hunt for them yourself. This was a community event to get to be around other kids and get a few pieces of free candy. If on the other hand you had paid for an Easter bunny buffet meal and there wasn't enough food, you might then have something to complain about. Look at what you paid and look at what you are getting and determine if it is worth it. If not, don't attend the event. 4. Assume that There Will be a Lot of People: Parents are always looking for fun activities for their kids. Especially on weekends, especially around holidays. They want their kids to get the full experience of the holiday. You should go to these events knowing that will be the case. Plan to have to wait on line. Possibly bring snacks or activities to do while waiting. If it's an outdoor event, dress for the occasion. It is your job as a parent to help your kid enjoy the experience. You shouldn't be complaining about the line or the cold. You should be prepared. 5. Remember that it is for the Kids: Remember that the event is for the kids. If they are perfectly content with their one green egg, you don't have to go around picking up more eggs yourself so that they can fill their basket. If the event is not a competition, don't make it one. My son had his eyes set on one green egg and when he got it he stopped looking. I asked him if he would let me hold it so he could get more and he decided to let that happen. However, if he had said no and just wanted that one egg, then that's what he would have gotten. A kids event is no time for parents to act on their desires. If you want to go on an egg hunt, ask someone to set it up for you. Otherwise, the important thing is that your kid is happy and satisfied. My comments on these 5 tips obviously revolve around our recent experience at the egg hunt. However, they can also be applied to a kids event/party. Know what you are getting into and know the rules. If its not for you, then just don't go. Always keep in mind that the end goal is that your kids have fun, and not at the expense of other kids. Hope you enjoy your next event! !